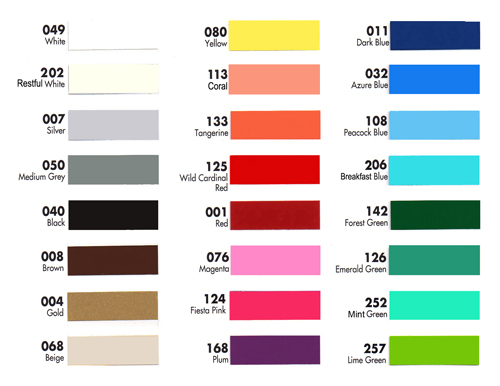 Here is a list of intermediate grade sign vinyl available for online order. Just click the product link to see product specifications and price list. 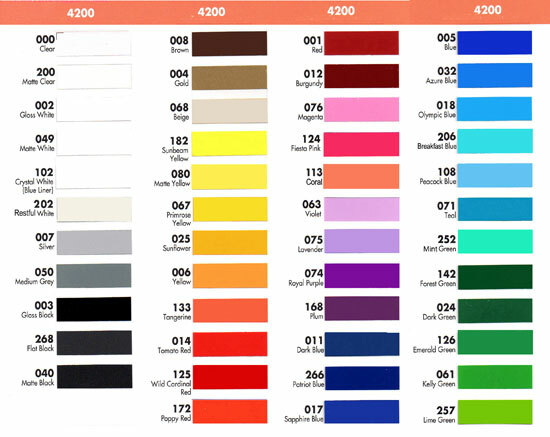 FDC Lumina 4200 sign vinyl, high gloss, 5 year outdoor, black or white (SM-V303), colors (SM-V305) - Popular general purpose sign and decal vinyl. 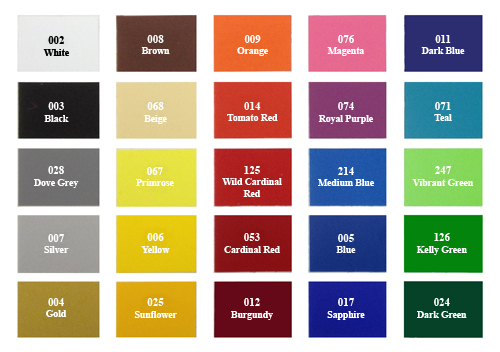 FDC Lumina 4200 Intermediate Ultra High Gloss Vinyl Film is an ultra high gloss calendered vinyl film. 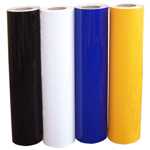 This product is recommended for outdoor and indoor uses where a high quality marking film is needed for flexibility, durability and resistance to sunlight. This film can be used for architectural signage, P.O.P graphics and decals, banners, striping, window graphics and lettering. FDC Lumina 4725 Intermediate Vinyl Film is a premium 6-year calendered vinyl that is ideal for general purpose signage, banners, window lettering, show cards, exhibit displays and vehicle markings. FDC Lumina 4301 Series is a calendered vinyl film designed for producing specialty graphics, wall decos, signage and decals requiring medium term durability with clean removal. This series features a matte finish, which provides maximum visibility by eliminating unwanted glare. FDC 4300 (ASLAN C114) is a calendered vinyl film designed for producing specialty graphics, signage and decals requiring medium term durability with clean removal. This series features a matte finish, which provides maximum visibility by eliminating unwanted glare and a grid marked liner for easy alignment. This series is discontinued, and replaced by the FDC Lumina 4301 series. We have limited colors in stock. FDC Lumina 4304 Easy Removable Vinyl Film is a flexible high gloss calendered vinyl film with a removable high peel adhesive. 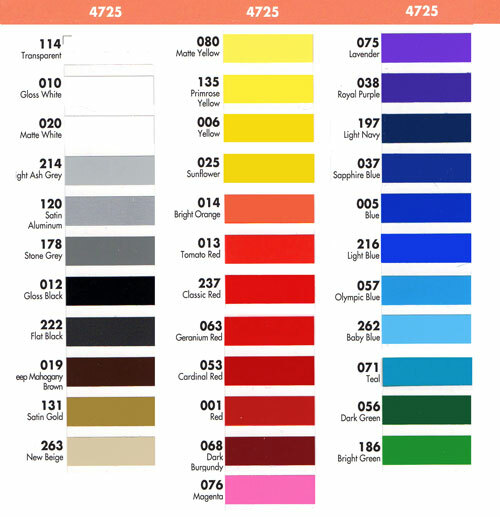 This product is ideal for decorative trim, labels, decals, P.O.P signage and displays.